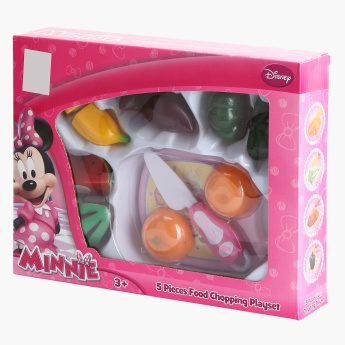 Minnie Mouse 5-Piece Food Chopping Playset | Multicolour | Become a chef and cook delicious food with this 5-pc food chopping playset. This pretend play set will provide hours of entertainment to the child. Your little girl will love playing the role of a chef with this food chopping playset. 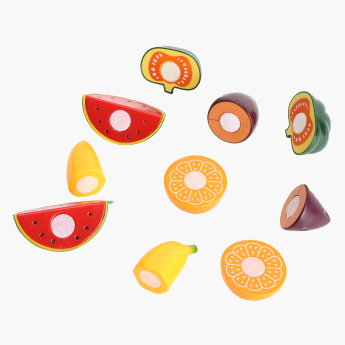 The set includes a chopping board, a knife, and fruit and vegetables that can be easily cut. Crafted from a sturdy material, this playset is quite durable. Feature 1 : Become a chef and cook delicious food with this 5-pc food chopping playset. This pretend play set will provide hours of entertainment to the child. Feature 3 : All food items can be easily separated using the plastic knife. It is great way to introduce the concept of part and whole to the child. 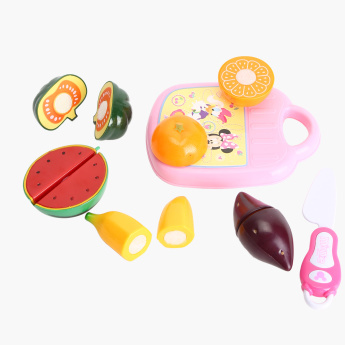 Feature 2 : It comes with a plastic chopping board, knife, and various fruits and vegetable items for the child to indulge in realistic role play.